If you’re looking for industry information, such as forecast growth in a certain market (would you be surprised to learn that a country in the Middle East has one of the highest forecast growths in the beer market? Though you might want to dig a bit deeper to check out what kind of beer…), Passport GMID is a great tool available through the Library. Which brands have the highest share of the coffee market in Canada? What is the sales distribution format for contact lenses in Canada (percentage of online vs. store-based retailing)? Which companies rank the highest in the global consumer health market? If you haven’t yet checked out Passport, please do. If you have, you might be interested to know that we have more statistics and analysis than ever, due to a subscription change. Try out the dashboards, which provide quick visualizations of certain industries in a geographic context, including forecast growth, market size, and company information. If you’re looking for data on fast-moving consumer goods, specific industries, or company shares, this database has a wealth of information. Bonuses include being able to download many charts/maps/graphs into PowerPoint slides for presentations. Check out the Alcoholic Drinks or Consumer Health dashboards, reports such as Contact lenses in Canada and Coffee in Canada, and much more in Passport GMID! In case you hadn’t noticed, Passport GMID underwent a “refresh” in October… the database maintains all the same functionality, with a cleaner, less cluttered look, as well as more prominent breaking news and industry updates. Use Passport’s more user-friendly search to find in-depth market research reports on fast-moving consumer goods, industries, countries, and companies– and be sure to check out the current trial for information on Canada’s Industrial sector and a preview of the new Passport Cities, which profiles 850 cities, available for a limited period – look under Coming Soon. On Wednesday, February 15, OC Library will migrate from Passport GMID to Passport Reference & Markets. Passport Reference & Markets provides consumer market performance trends and drivers at the industry level. The interface will remain the same, but users will notice some content changes. Reference & Market’s level of content is similar to Passport GMID, however sector level data and information will be embedded in industry market reports and individual sector level reports will no longer be available. For example, if you are researching beer (a sector of alcoholic drinks) in Canada, navigate to the Alcoholic Drinks in Canada industry report. Reference & Markets will include increased industry coverage from 52 to 80 countries and additional country analysis, such as Business Environment, Country Pulse, and Future Demographics Reports. As before, country and consumer statistics will be available, including demographic and macro-economic statistics for 205 countries. Reference & Markets remains one of OC Library’s top resources for international markets and fast-moving consumer goods research. Questions? Just ask! Contact BUAD Liaison Librarian, Leanna Jantzi. Due to maintenance and upgrading, the Global Market Information Database will be unavailable the weekend of April 16th and 17th. The system should be up and running again on Monday, April 18th. Still want to do some market research? Business Source Complete is a good alternative to GMID and contains market research reports and more. A new interface will be introduced when GMID is available on the 18th. The database will also be adopting a universal brand name of Passport GMID. Stay tuned for details. Wondering what GMID is? Read more on the OC Library blog. If you have any questions, please don’t hesitate to contact the BUAD liaison librarian. 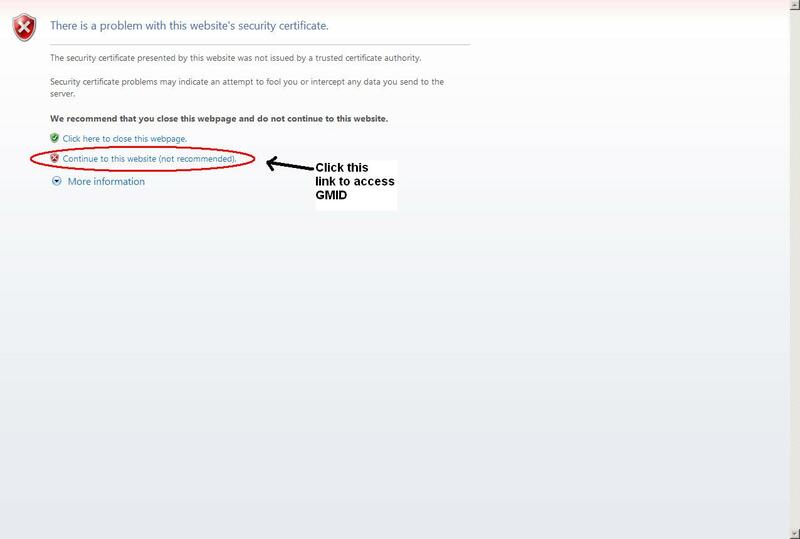 Library users trying to access OC Library subscription database GMID in Internet Explorer may encounter a problem with IE’s security certificate. If you encounter this problem, click continue to this website to access. Get more help here. If you have any questions, please do not hesitate to contact Leanna at ljantzi@okanagan.bc.ca or the Library. Okanagan College Library is pleased to announce a new database subscription. Euromonitor’s Global Market Information Database (GMID) is now available. GMID is a market research database with a focus on consumer products. Use GMID to identify and compare statistics, for demographic, market, consumer, industry, and company research, and to identify information such as market size, brand share, consumer profiles, and more. Along with the introduction of this new database, it should be noted that the Library has not continued its subscription to First Research. First Research industry reports can be found in the database ABI/Inform. The library has also decided to discontinue its subscription to RDS Tablebase. Current resources to find business and demographic related statistics include GMID, Business Source Complete, CANSIM, E-Stat and international organizations such as the United Nations Statistics Division’s UNData. The library is currently working on a comprehensive guide to Data and Statistics Resources that will help you find the information you need. Questions? Don’t hesitate to contact the library. Trial access to Global Market Information Database (Full GMID) is now available to the Okanagan College community. Global Market Information Database (Full GMID) from Euromonitor International is global in scope and provides business-related statistics, market research reports, and more. Coverage includes information on 205 countries, their consumers, and markets, with extended data for 52 countries. Use GMID to identify and compare statistics, for demographic, market, consumer, industry, and company research, and to identify information such as market size, brand share, consumer profiles, and more. The system includes over 15,000 comments, articles and reports which are updated daily, monthly, quarterly and annually. Over 7 million statistics are also included, which are updated annually with historic data going back as far as 1977 and forecasted out to 2020. We encourage you to take a look, take it for a test run, and give us feedback! Visit the trial databases page on the Library website for more information.